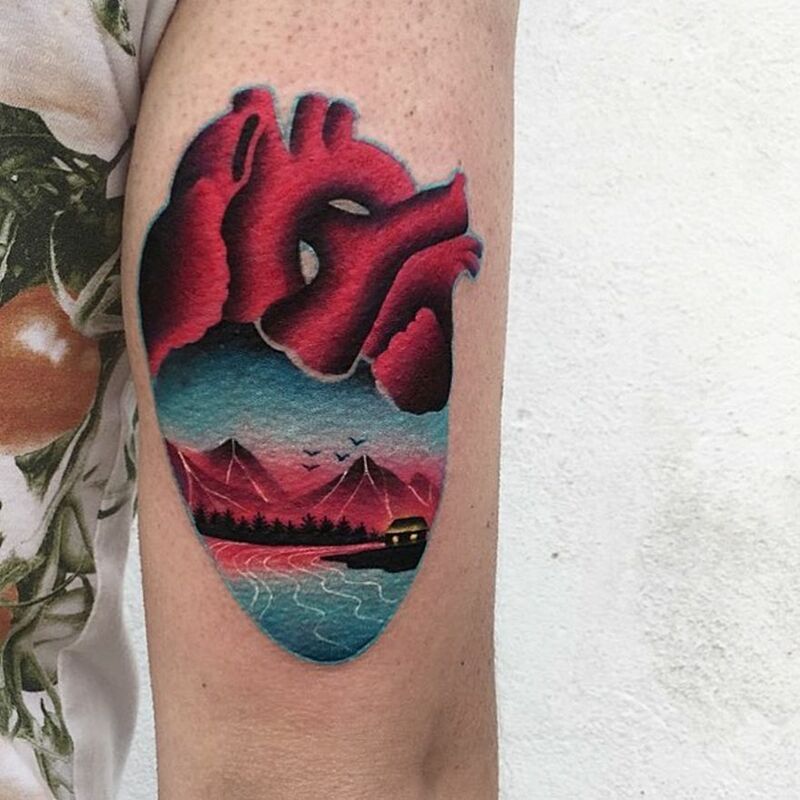 The art culture has flourished throughout Europe for thousands of years, so it’s no surprise that some of the most talented tattoo artists in the world come from countries in Europe like Italy, Spain, Poland, France or the UK. 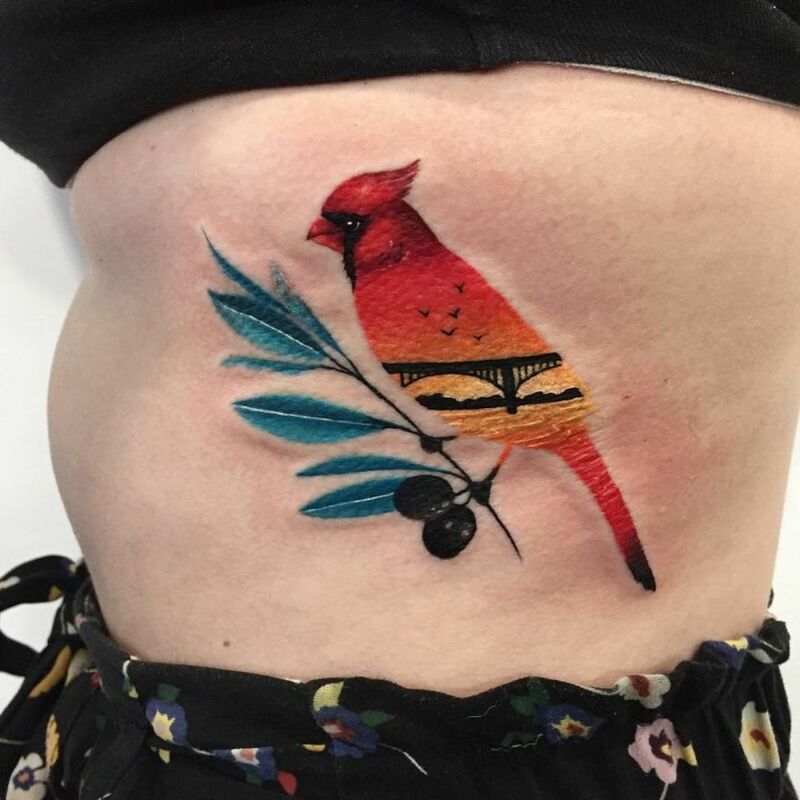 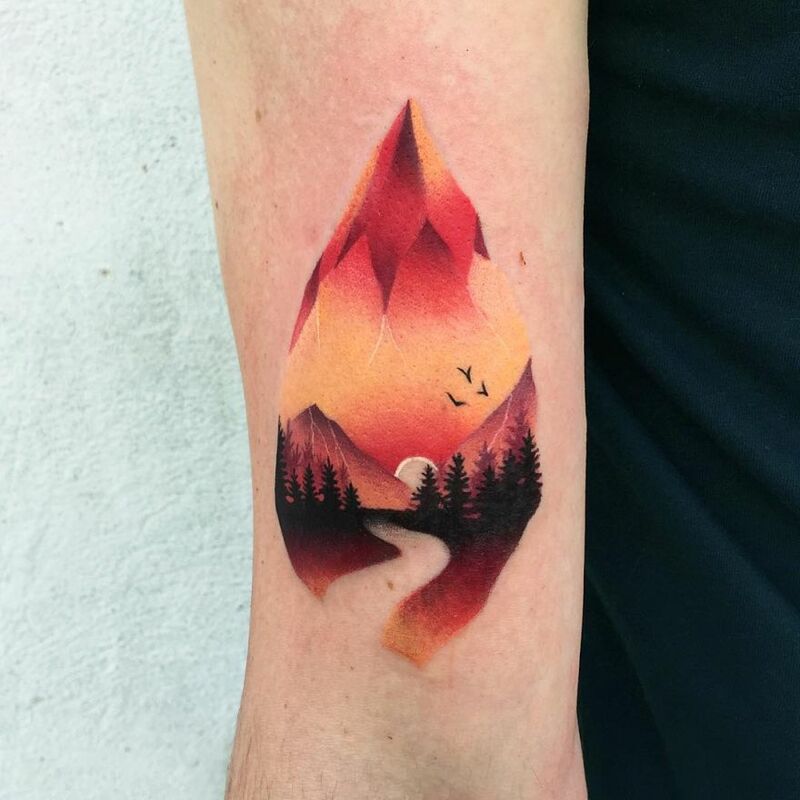 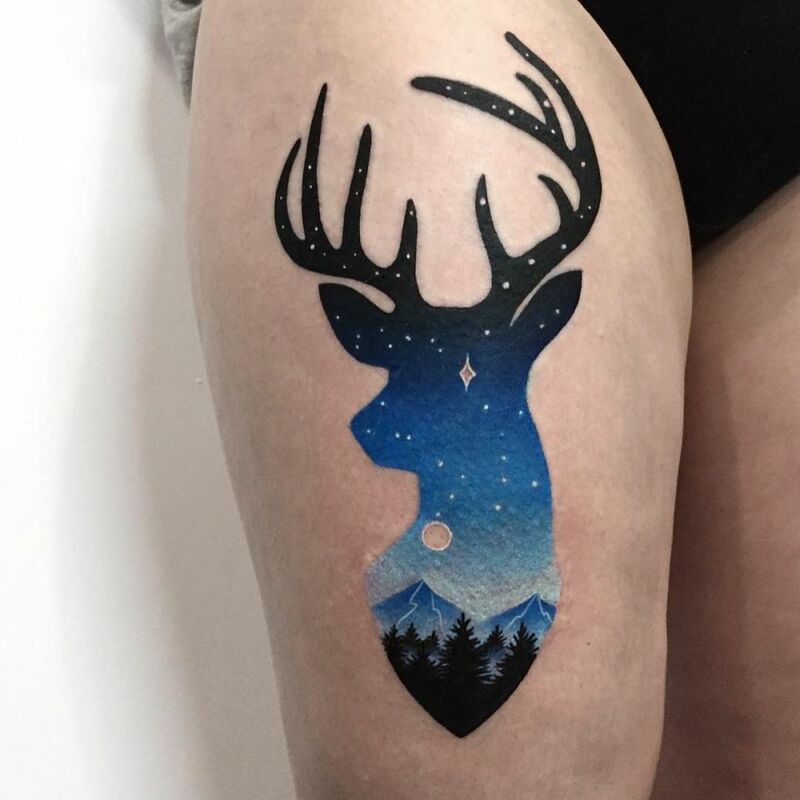 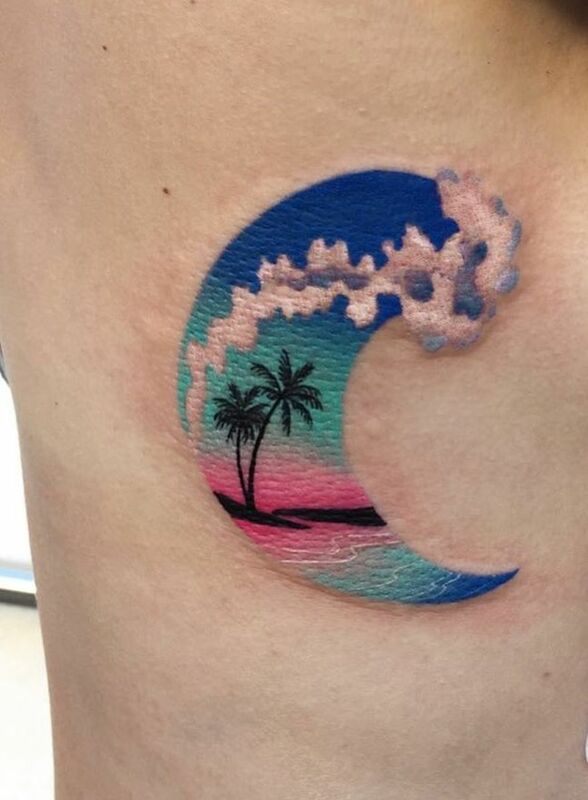 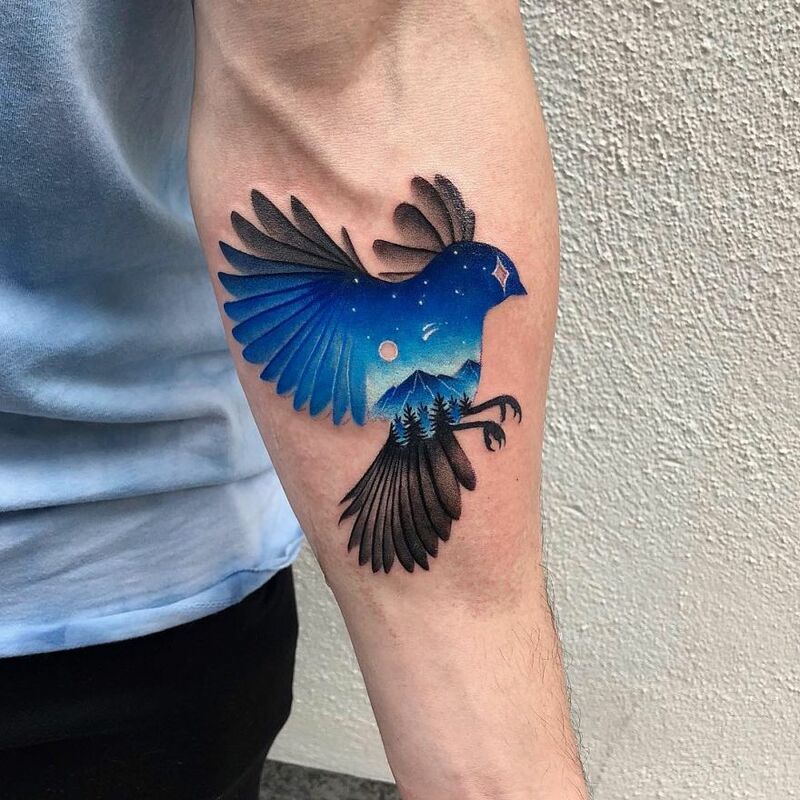 Many of the best European tattooists have adopted classic art styles, like hyper-realism and watercolor, but you can also find a plethora of talented artists who specialize in more modern tattoo art styles. 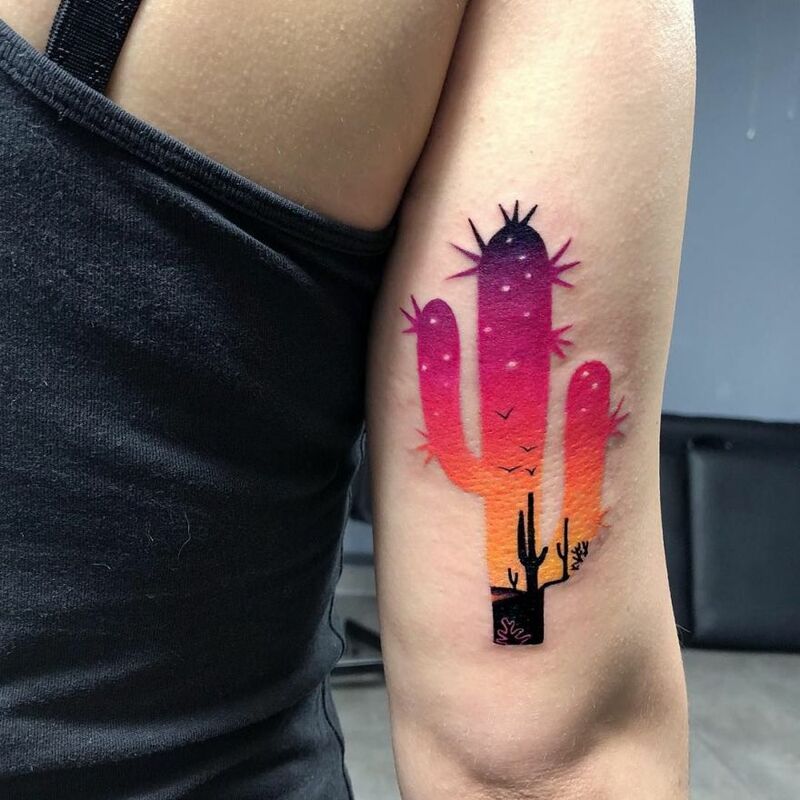 With their visions and alternative styles, these tattoo artists are redefining the way we see tattoos. 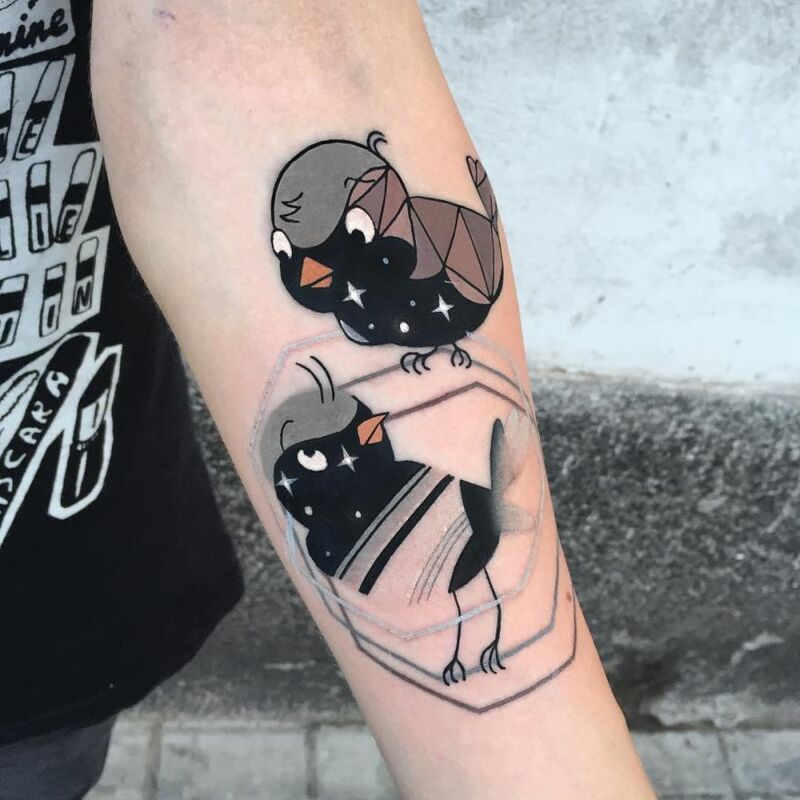 One of the European tattooists full of talent and boldness who take artistic ink to a whole new level is Daria Stahp from Warsaw, Poland. 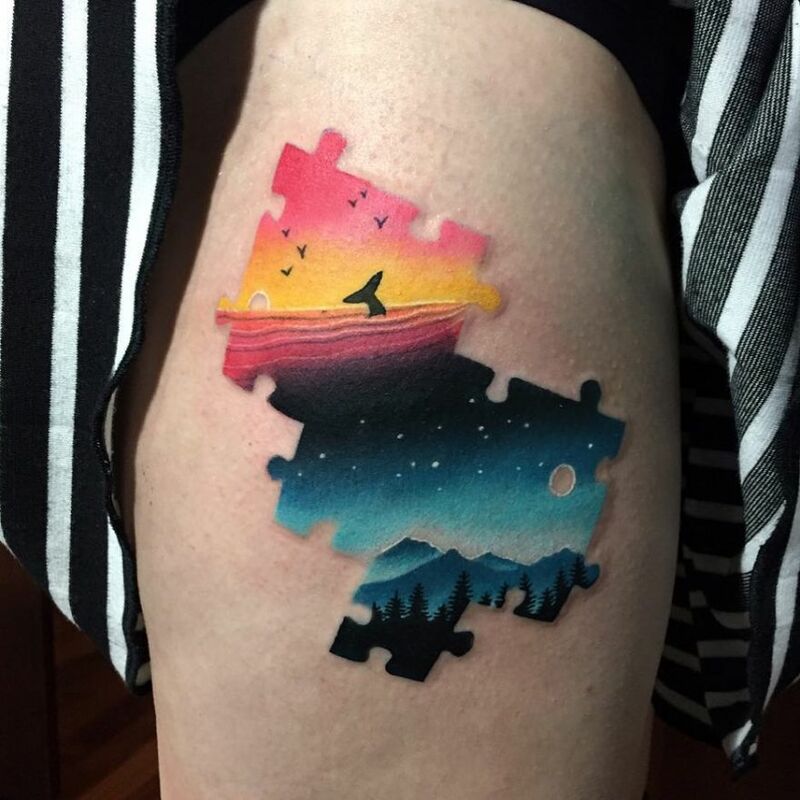 Her work is certainly worth knowing. 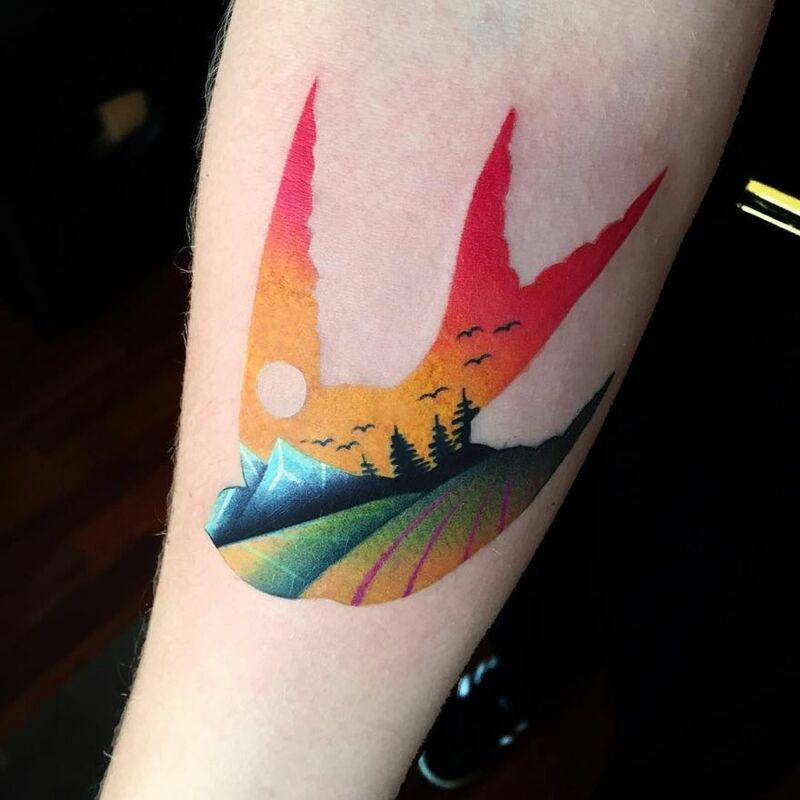 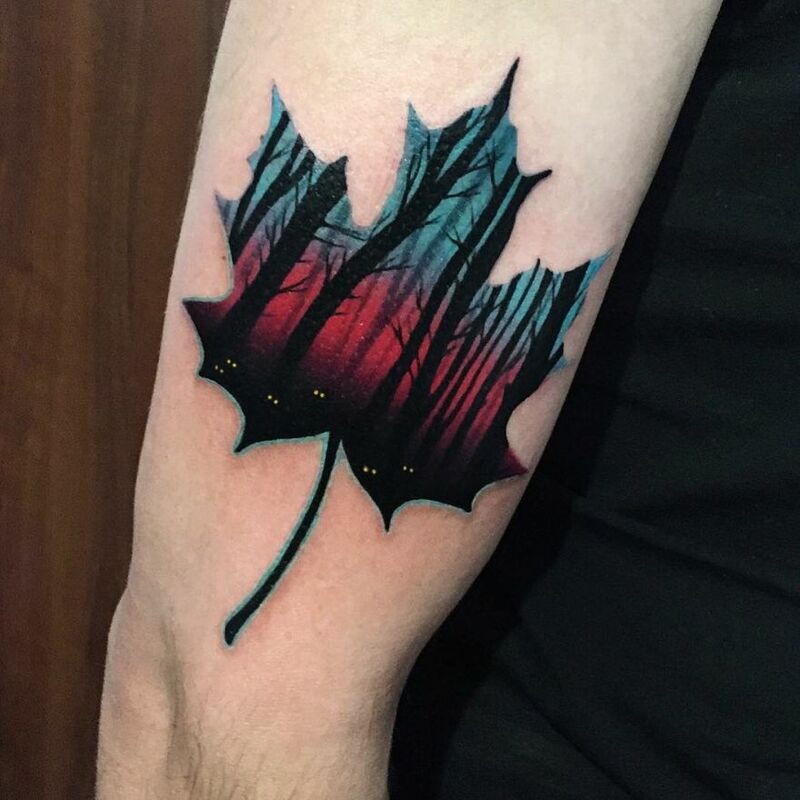 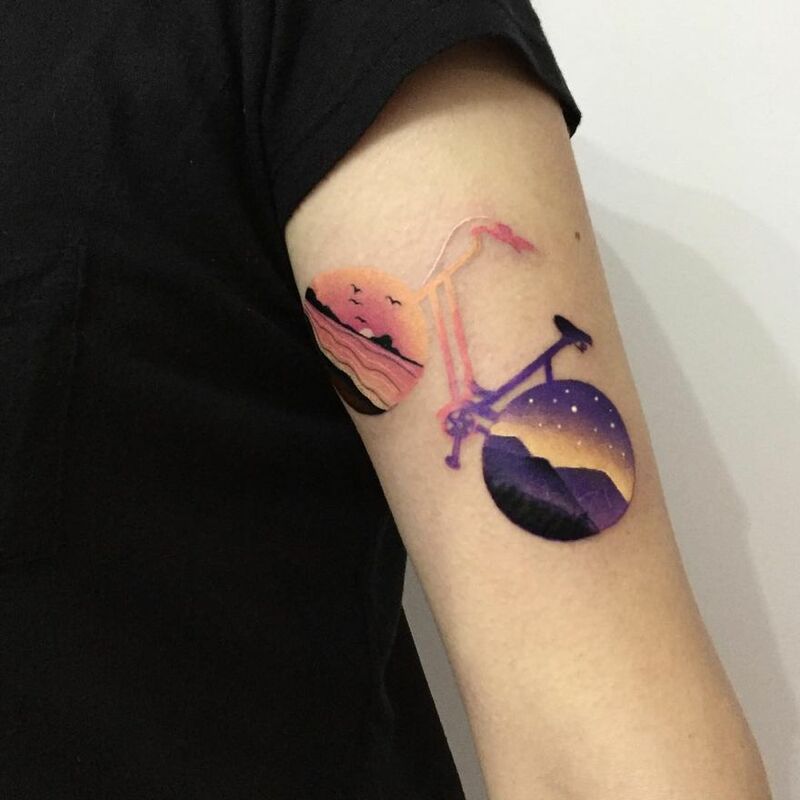 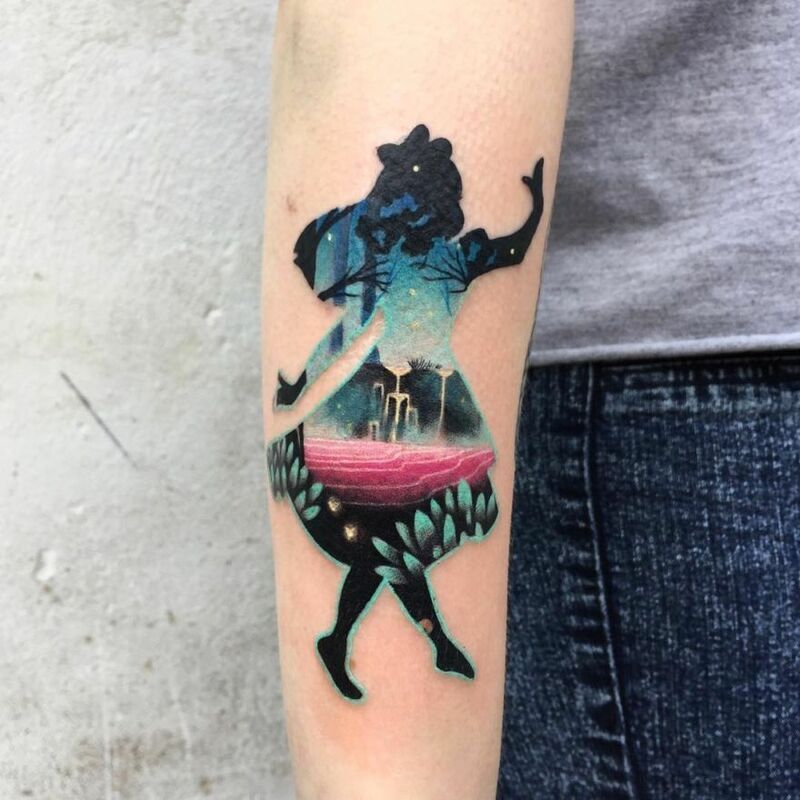 Currently working at Pink Machine Tattoo studio, Daria developed a super distinctive style defined by double exposure-like imagery and vibrant colors. 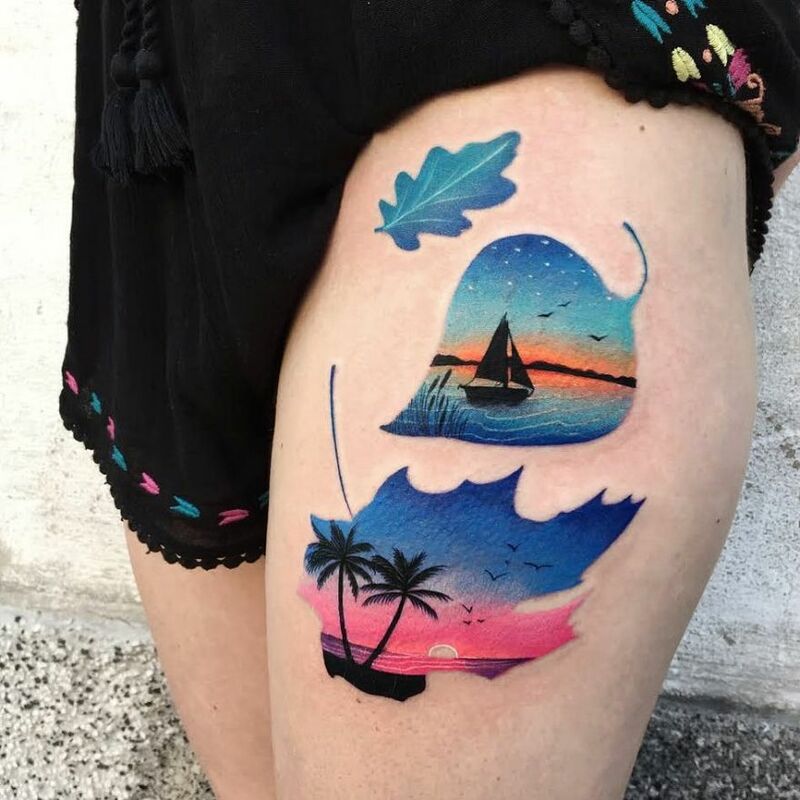 She creates scenes insides of shapes, displaying an impressive array of rendering styles. 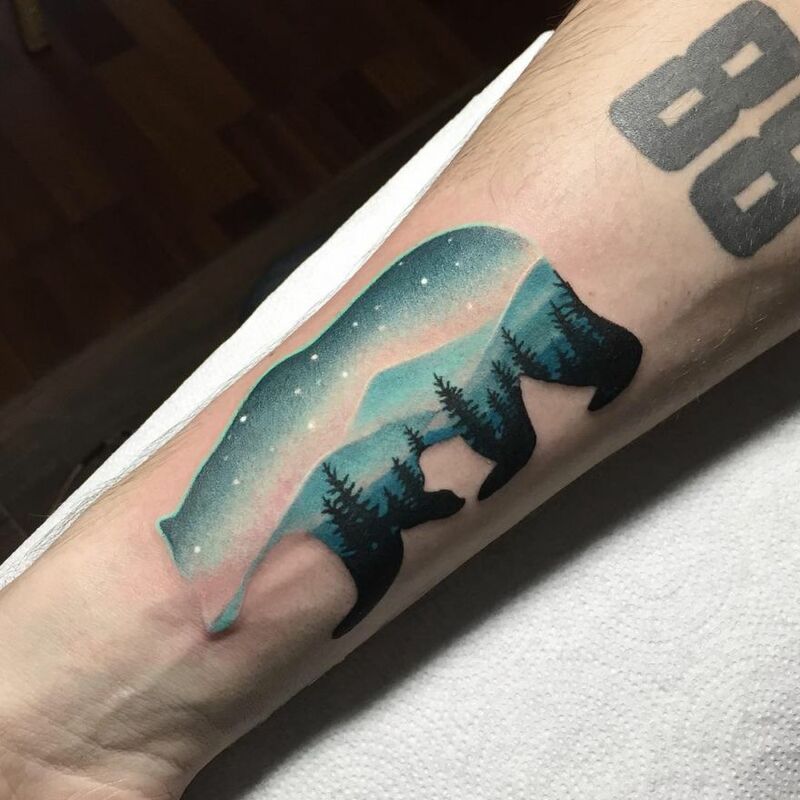 Her illustrations can be realistic, abstract, cartoonish, contemporary or old-school, or even a mash-up of styles. 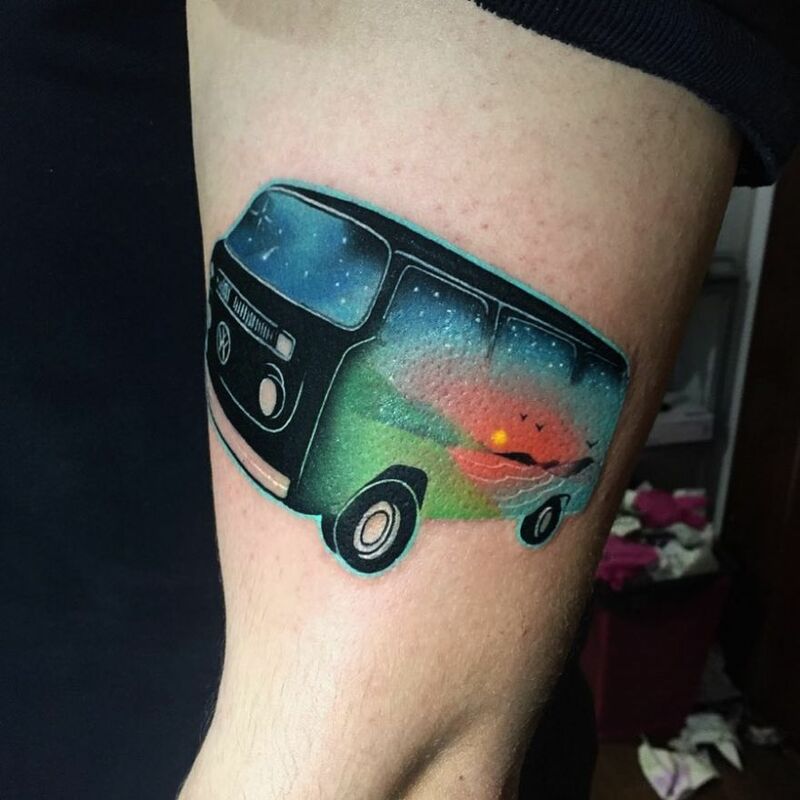 No matter the style or subject, though, each and every one of Daria’s art pieces has one thing in common: a creative use of color! 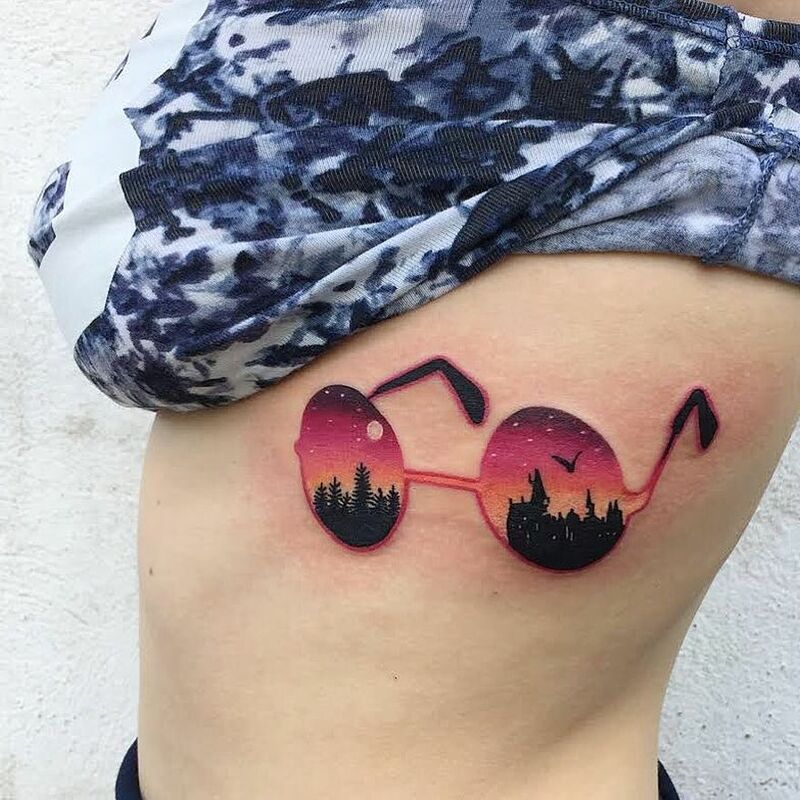 Daria is one of those creative artists who’re pushing the boundaries of their medium to create art that is uncompromising in its originality. 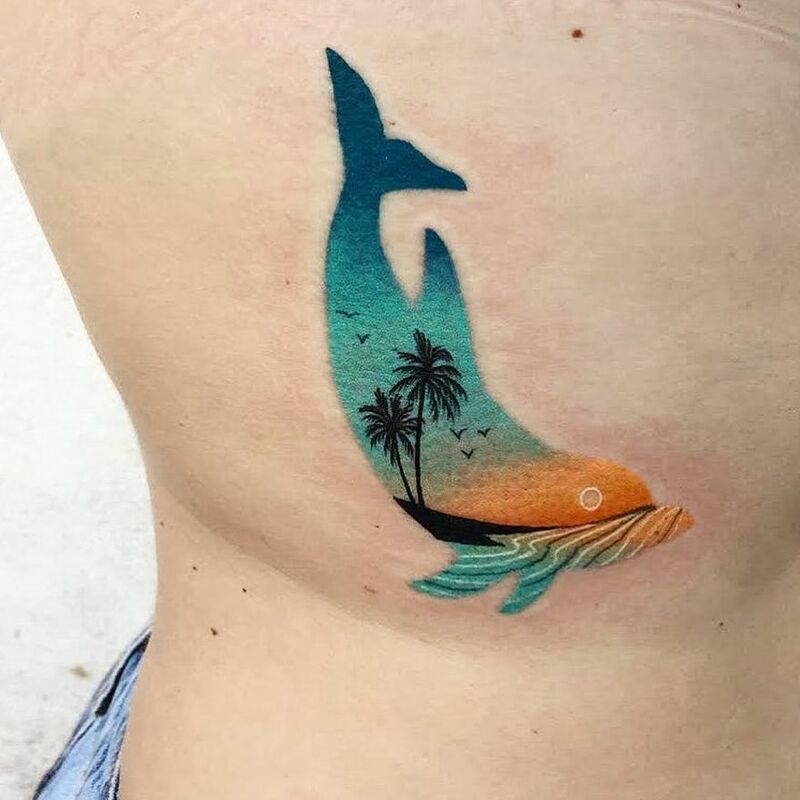 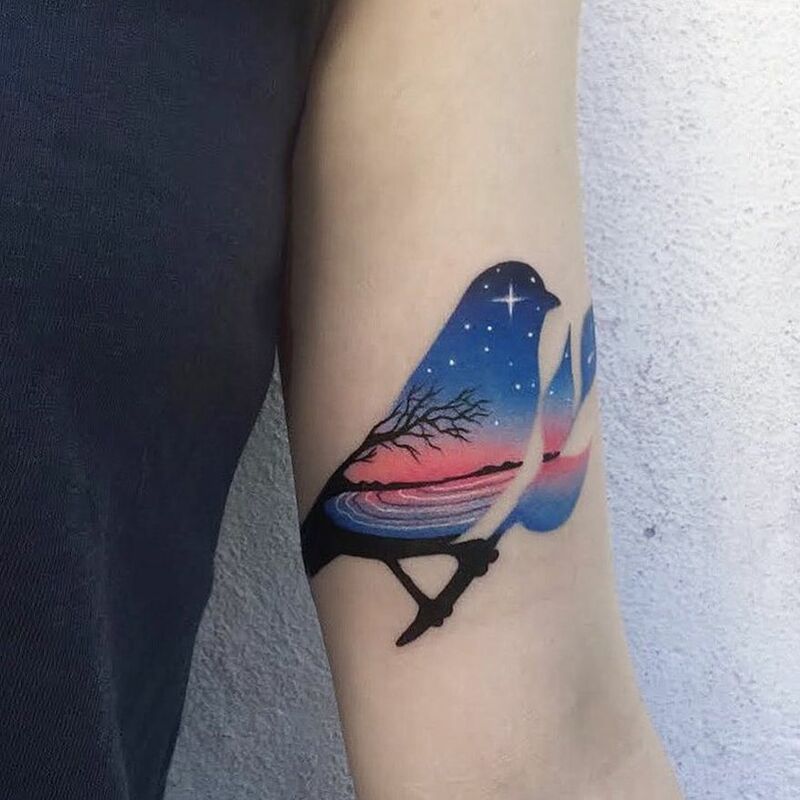 Each of the Poland-based artist’s characteristically colorful double exposure tattoos exhibits her exquisite and versatile approach to body art. 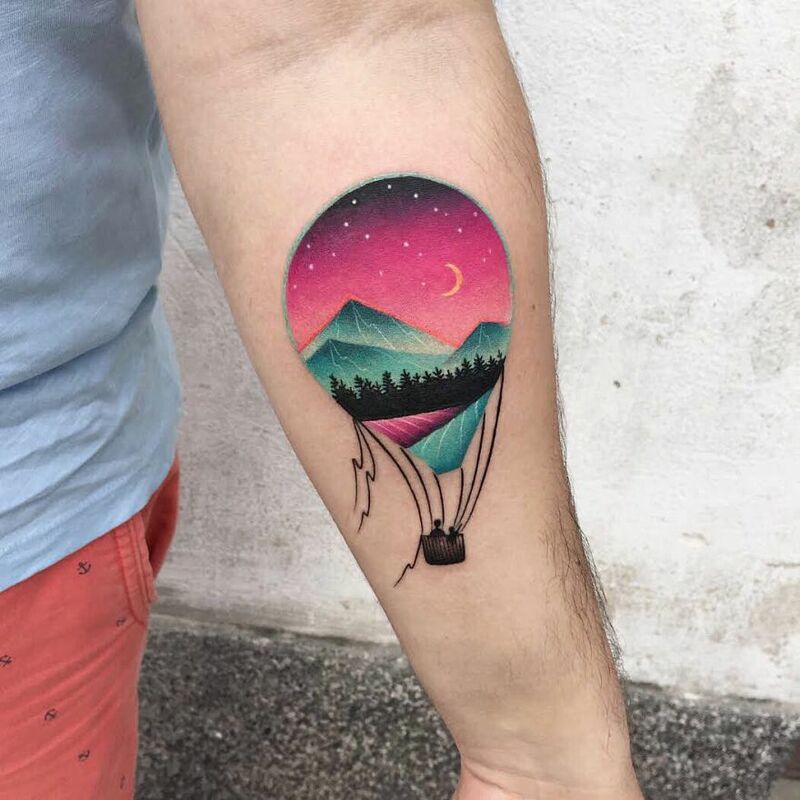 As we all know, a picture is worth a thousand words so nothing speaks better about a tattoo artist than his portofolio. 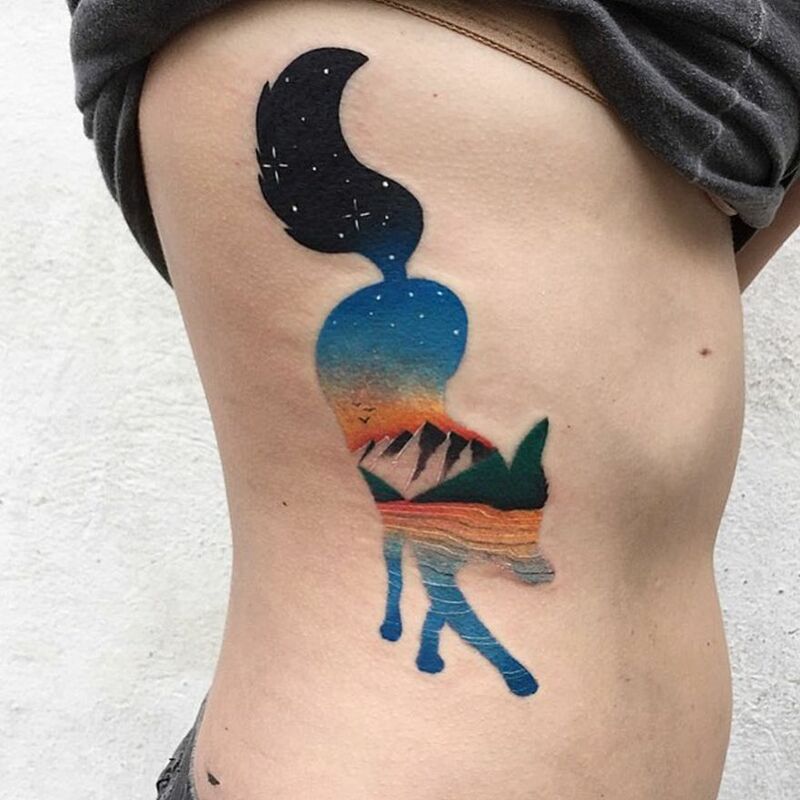 Check out the image gallery below with our favorite colorful double-exposure tattoos by Daria Stahp and imagine one of her works on your skin. 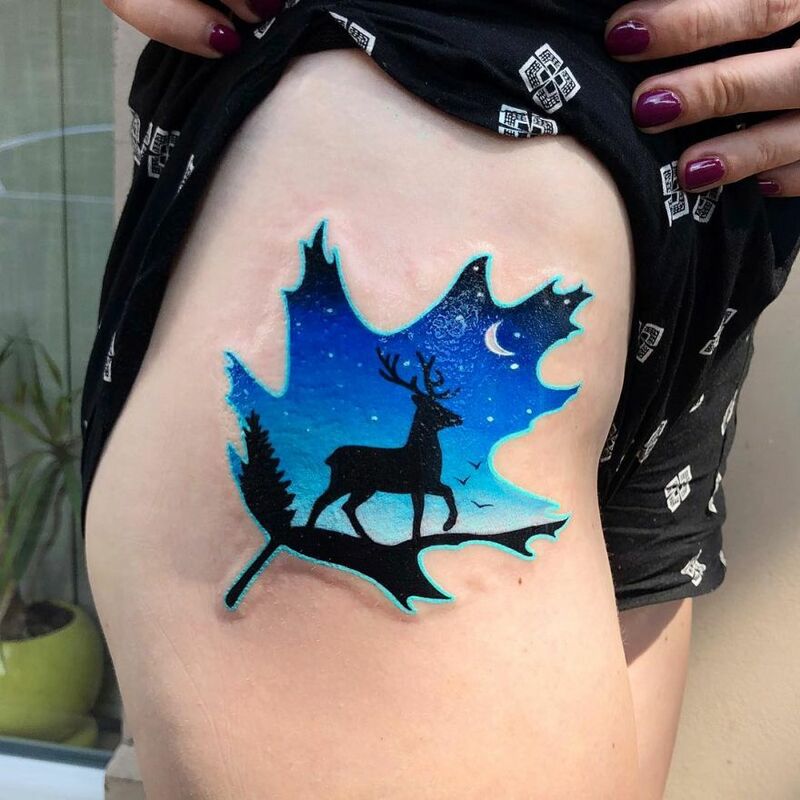 If you like what you see, follow her on Instagram for more inspiration!